This is a list of books that have been passed down and are of particular interest to the family history. The Evans Family bible – unfortunately our side of the family no longer have this bible, as it was collected by Archibald Agard Evans in about 1990. 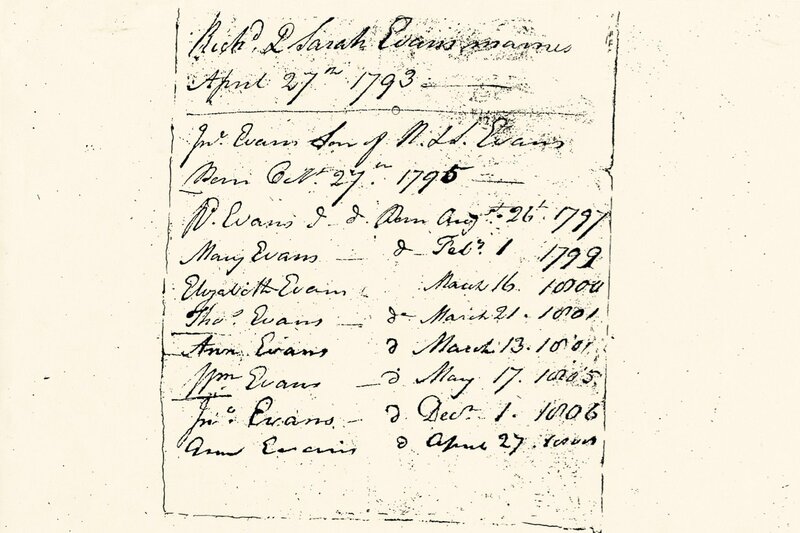 The book was published by Boden and Adams, Birmingham 1769 and contains the birth records of two generations of the Evans family – the children of Richard Evans and Sarah Styles and the children of Richard Evans and Mary Shaw-Hellier. The Shaw-Hellier book of common prayer, published by Gill at Oxford 1770 – inscribed “Mary Shaw-Hellier” and dated 17 November 1789. This clearly was in the possession of Mary Evans (b 1801) née Shaw-Hellier. 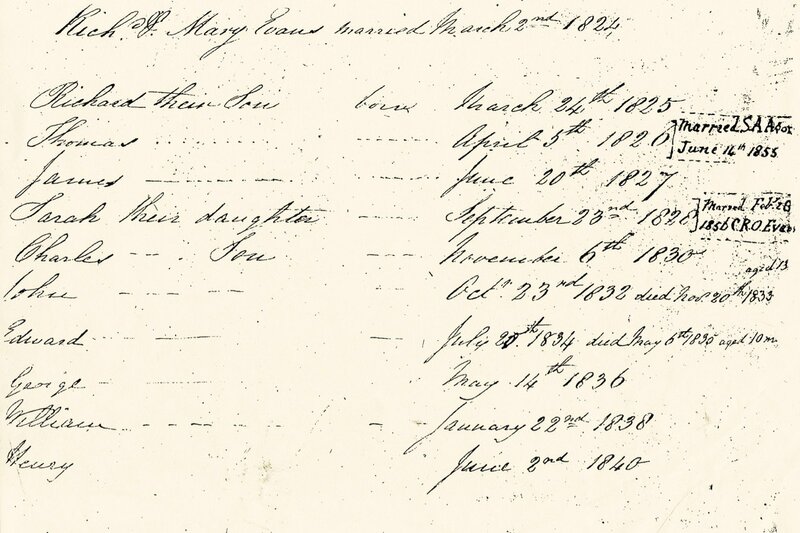 This book also contains the Evans baptisms 1824-1840. It would appear therefore to be a gift from Mary Shaw-Hellier to her granddaughter Mary Shaw-Hellier or possibly passed to her at her death. “The Chase, The Turf and the Road” by Nimrod (C J Apperly). This is the 1837 first edition published by John Murray and was clearly in Richard Evans’ library. Not least in a footnote on p94-95 it praises Mr Richard Evans. proprietor or the Red Lion, Wolverhampton (b1769). This is one of a number of books that shows the Evans’ keen interest of all things to do with horses. Nimrod marvels at “The Wonder” stage coach that ran daily from London to Shrewsbury. Richard Evans’ chestnut horses were the pride of the run with the smartest turnaround on the Wednesbury to Wolverhampton stage. “Foreign Field Sports, Fisheries, Sporting anecdotes etc” Inc Supplement on New South Wales, S Howitt, Published by HRYoung London 1819 Second Edition. This valuable book has 110 fine coloured illustrations and again fits the profile of Richard Evans interest in all things sporting – showing graphically how natives hunt different animals on all the continents of the world. “The Noble Science” by F P Delme-Radcliffe published Rudolph Ackerman 1839 – a book on fox hunting – signed “R Evans” on inside cover together with bookshop name in Wolverhampton. Ida Downing (1872-1946) worked for the BBC 1920’s and 1930’s – left to my grandfather WN Downing, who selected them at the house sale 1947.